Only a limited supply of this machine will be made . THE PABST WEB SITE PAGE IS THE ONLY PLACE WHERE YOU CAN PURCHASE ONE. 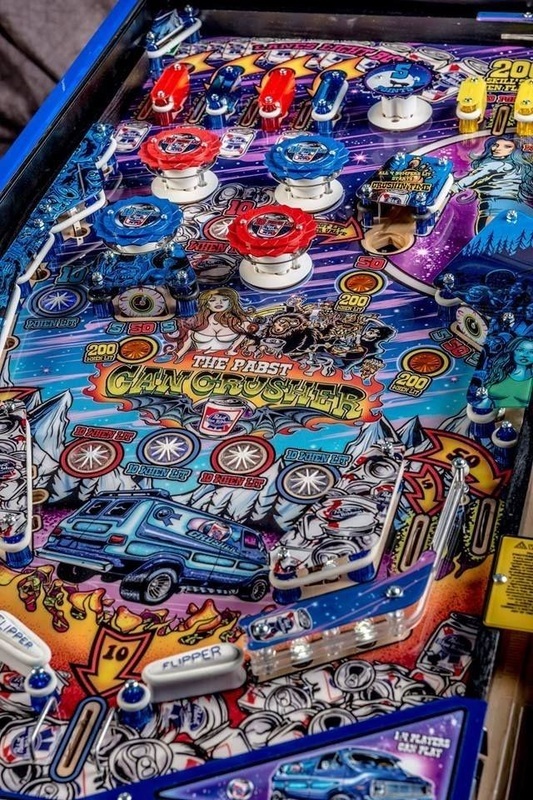 ELK GROVE VILLAGE, Ill., July 13, 2016 /PRNewswire/ — The Pabst Brewing Company, makers of Pabst Blue Ribbon beer (“PBR”), today proudly announced the debut of its new PBR-Themed “Can Crusher” pinball machine. The new PBR machine will make its debut at Comic-Con International in San Diego on July 21(st) through July 24(th )at booth 501. 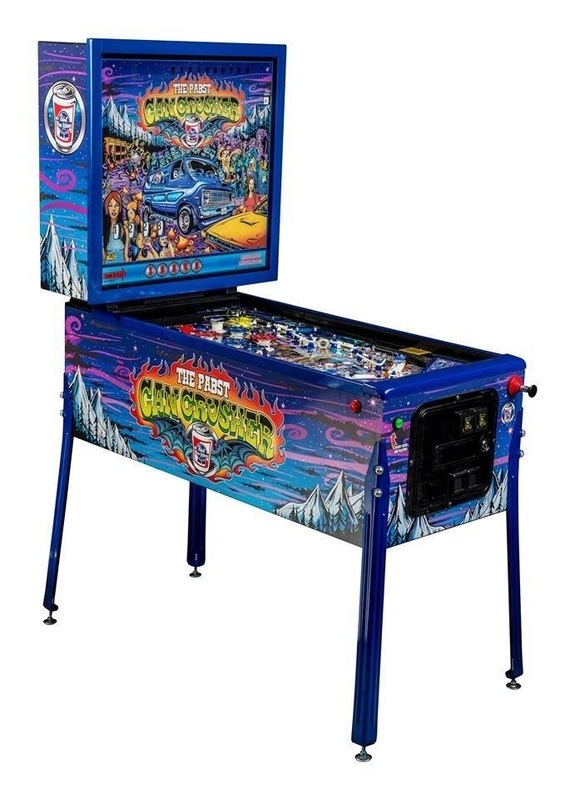 The game was developed in partnership with Stern Pinball, the world’s oldest and largest producer of arcade-quality pinball machines. 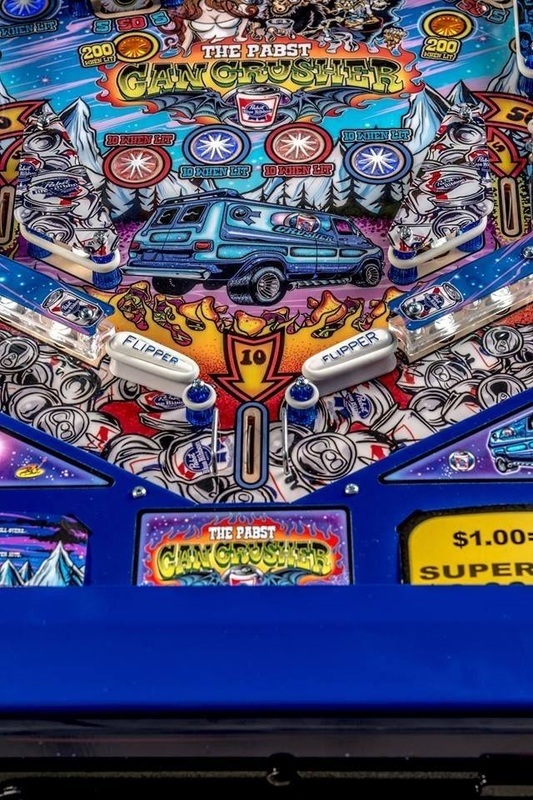 The “Can Crusher” pinball machine captures the iconic nature of the PBR brand with a retro game design,dynamic eye-popping art by artist and pinball phenomenon Dirty Donny Gillies and music by hard-hitting heavy metal band RED FANG. The debut of this machine will not stop with its arrival at Comic-Con. Following Comic-Con, PBR will showcase the exclusive machine at several other venues including concerts, barcades, high profile events, and other community activities. 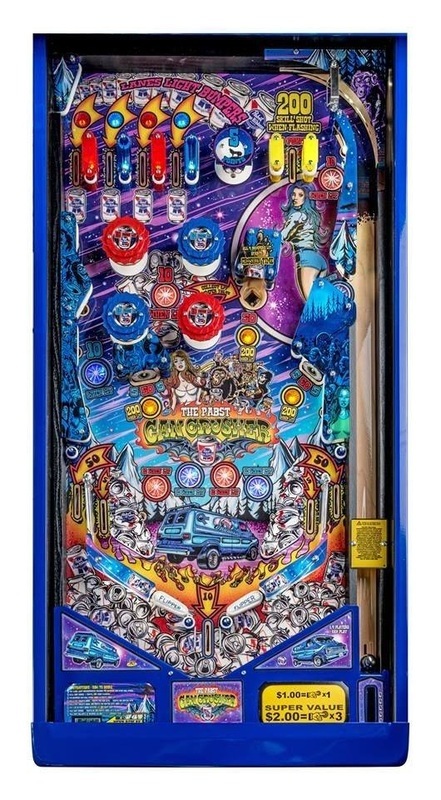 The playfield and layout is identical to the Whoa Nellie Pinball released last year. Looks like Stern is using the same machine but only different art work and sounds.